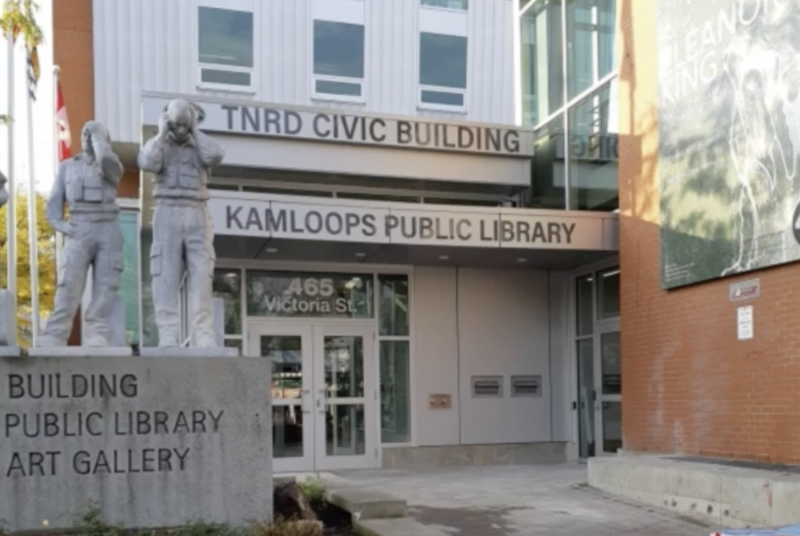 TNRD offices in the Civic Building. TNRD board directors gave themselves a pay increase Thursday (March 28, 2019). By a margin of 20 to 6, they approved raises of about 11 per cent for municipal directors and up to 18.47 per cent for rural directors. Both municipal and rural directors are paid varying annual salaries based on where they live. I moved an amendment to the pay package that would have limited the raises to the amount of the 2018 Consumer Price Index of 2.7 percent. Using the CPI as the basis for annual increases to directors’ remuneration has been the practice for the past several years. My amendment was defeated and the bigger increase was then approved after some debate. I argued that the board should show leadership by turning down the raise, which is based indirectly on a decision by the federal government to remove a tax-free benefit on one-third of the remuneration paid to local-government politicians. Several other regional districts have given themselves pay increases to make up for the loss of the expense allowance, and the rationale for the TNRD raise was that it has fallen behind the others. I understand and respect the reasons most directors supported the increase but my feeling is that we should put ourselves in the shoes of the people we represent, who don’t have the privilege of increasing their own paycheques every time their taxes go up. Director Arjun Singh said it was a sensitive subject and a better way of determining increases is needed, perhaps with a committee. But Director Steve Rice of Spences Bridge said the TNRD is “on the low end of the scale” and “we’re doing the right thing” with the increase. Director Sally Watson said she takes time off work to attend to TNRD business, and Director Carol Schaeffer of Wells Gray noted that municipal directors receive remuneration for their council work plus their TNRD stipend, while electoral area directors get only a TNRD stipend. David Laird, the rural director for Nicola Valley North, expressed concern that directors who oppose pay increases get positive media coverage, and wanted to know if directors who opposed the increase were willing to forego it. Chief Administrative Officer Sukh Gill said the board’s remuneration bylaw would need to be amended for any director who wished to receive less than the approved amount. Laird pressed the point again after the increases were approved, asking if directors who opposed it would decline the raise. Gill said that’s a procedure for each director to discuss with staff. I’ll respond to Director Laird in due course. Directors Arjun Singh (City of Kamloops), Merlin Blackwell (mayor of Clearwater), Al Raine (mayor of Sun Peaks), Dale Bass (City of Kamloops), Kathy Sinclair (City of Kamloops), and I voted against the increase. As reported in Kamloops This Week, Kamloops Mayor Ken Christian and Coun. Mike O’Reilly were among those voting in favour. The base for municipal directors will go from $13,028 to $14,000. Rural directors representing electoral areas will each get a $3,288 boost. That will bring their annual stipends to a range of just under $25,000 to more than $28,000. Chair Ken Gillis will now receive $22,600 on top of his director’s stipend, while Vice Chair Bill Kershaw will jump from $2,338 to $4,543 plus his director’s pay.